Visit our large retail center for everything you need to look & feel your best. Choose from a wide variety of superior products including Purology, A/G, Sebastian and Paul Mitchell. Replenish your hair’s thirst for good health with Simply Organics natural hair care products. Explore aromatherapy with our delightful array of candles, bath gels and essential oils. Co-owner and resident aesthetician Sandy Collingwood is a certified herbalist - be sure to enroll for our organic product workshop where you learn how Sandy blends all-natural ingredients for scrubs, masks, soaps & lotions. Consult with our highly-trained aestheticians to customize your skin care regimen using Eminence Hand-Made Skin Care products of Hungary and go home with all you need to keep your healthy glow. Our mineral make-up products provide something for any look you are trying to achieve - from a fresh, dewy face to a glamorous makeover. Treat yourself to expert application with our professional make-up artist who hails from the Big Sky Resort Spa, Montana. Tanning products support and nourish your skin - whether you’re new to it or a die-hard tanning fan. Let us help you select the best accelerator to create the “Just-Returned-From-The-Caribbean” look you crave. We encourage you to explore our retail center during each visit - new products are always being added. 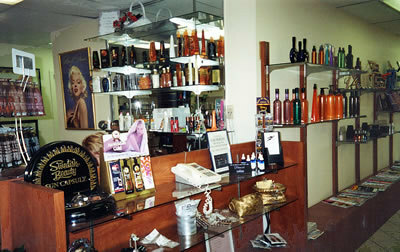 We offer a large retail center to supply you with everything you need to look your best. We carry many brands including Rusk, Bedhead, Graham Webb, and Paul Mitchell. We provide a wide array of natural hair care products including PureHair, MOP, and the new Elixers line by Paul Mitchell. For those who are interested in aromatherapy, our variety of candles and bath gels are sure to catch your interest. Our esthetician can help customize a skincare regimen for you and send you out the door with all you need to maintain your healthy glow. Our make-up line has something to offer for any look you are trying to achieve. We provide a wide selection of tanning products that varies for those just trying it out, to those who are die hard tanning fans. We can help you with the correct accelerator to look like you just returned from the Caribbean. Please feel free to explore our retail center any time - we are always adding new products. Can't find what you're looking for? We can special order anything you may need.